If you’re a beauty junkie like me, a primer water (like Smashbox) is literally ubiquitous in your makeup kit. It makes your foundation glide on like butter (but not greasy) and it helps keep your makeup in place all day long. This magical spray water works great as a primer but also works as a setting spray that prevents your makeup from melting off your face throughout the day. This can also boost more pigmentation in eyeshadows and make them waterproof. If you have acne-prone skin, this DIY formula will be a huge benefit because of the all natural and anti-bacterial ingredients we’ll be using in the primer water. 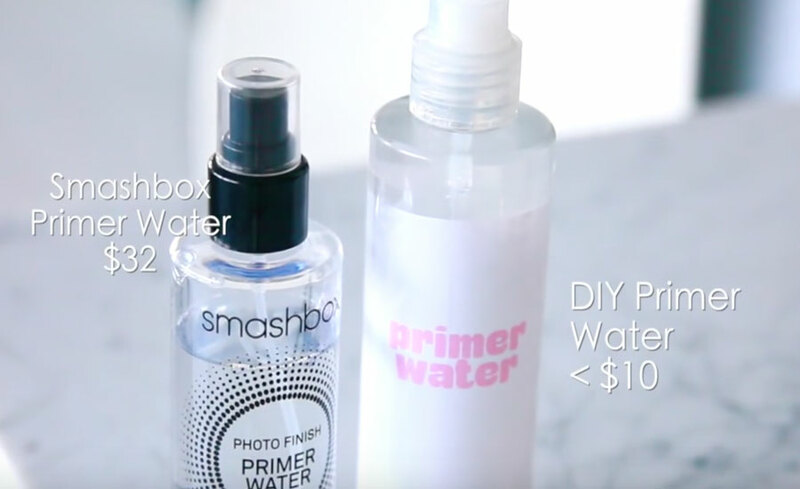 The actual primer water costs $32 and you can make this at home for only $10. The ingredients are really accessible. You won’t need no leaves from the amazon jungle. You’ll probably find the ingredients in your pantry. For an even more cool and refreshing mist, you can store this primer water in the fridge (perfect for those hot summer days).